Aside from your favourite papers and magazines our newsagency offers you an extensive range of stationary products for your office or school. You'll find a large range of magazines in store for you to browse through, you're sure to find something interesting. In-store there's a huge range of greeting cards to choose from. You'll also find milk, cold drinks, confectionery and much more . . .
Don't forget we carry mobile phone recharge cards from all the big names as well as a huge range of calling cards. We can accommodate special needs, so if there's something you need please just ask. A wide range of Newsagency products and services. 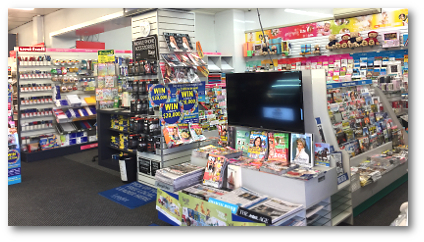 Here you will find information about the wide range of newsagency products and services offered through the newsagency including myki cards & top-ups, dry cleaning, fax & photocopy services, magazines, greeting cards and much, much more . . .